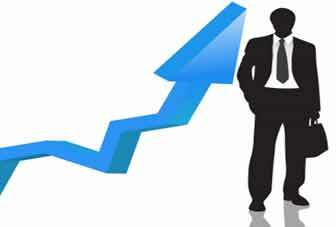 The Changing Role of CIO in the IT Industry | Business Article | MBA Skool-Study.Learn.Share. Do you know who a CIO is? Why CIO’s have never been in the limelight? What roles and responsibilities do these designations really carry on their shoulders? Let’s try and unveil these answers and figure out what emerging trends can be seen in the roles and responsibilities of CIO in the decade to come. CIO – Chief Information Officer, he is a leader or technologist, a visionary, an implementer, a maverick and a collaborator. Like the Roman god Janus CIO must look back on a solid past and to the future to understand new challenges. CIO has been the talk of the town and has become more visible ever since the business starting spending heavily on IT. Businesses have undergone a transformation due to IT implementation. If CIO’s can figure out as to how much IT is too much IT , treat IT not as an enabler but as an innovator for an organization , businesses will then be leveraging IT in the true sense. The CIO’S job has been very demanding as IT no longer is a cost centre for the companies but has become a revenue generator. “$= BC= Revenue” -> Spend Dollars on IT to buy Business capabilities that yield revenue in long term and short term. CIO’s are no longer responsible for “running” IT systems; they are now responsible for outcomes. They now see to it that value is being created from the investments. IT Leadership role demands business acumen, a new mindset, as well as technological competence. The CIO needs to be a conduit of new ideas from outside the organization. He should be able to transform new ideas into business case, have executive control, and select the best external partners to complement internal skills. More and more companies like media, insurance, health and nearly all the sectors are spending heavily on IT. So business are relying more and more on IT. The issue is business people are not able to understand the technology lingo, they only count success in terms of money. They will often ask a question to their CIOs that I have spent 100 million dollars on IT now give me results. Show me how I am getting value. So there is a dual responsibility that a CIO holds, he needs to keep the current IT running with operational efficiency and also get more revenue from IT implementation to the company as it is no more a cost centre. So CIO has become more accountable as we see today. Earlier the CIO just had to keep the company running, everybody rolled out SAP , a 50 million dollar project and nobody wouldn’t ask for a justification, but in today’s era where there is a lot of focus on operational efficiency , value and cost CIO’s need to be accountable for each IT investment they make. The CIO’s in North America have been very successful; we need to know what they did so differently than the other 150 CIO’s who got fired. They started focussing. They started brainstorming as to which IT projects should they really spend on and what value their COO and CEO will derive from the investment he is making. How can outsourcing help a CIO is Asia? Create Value in Public Sector – Politicians will only understand and get involved when they realize that if IT fails they will fail. Create Financial Value – Show that cash position can improve if strategic IT implementations are done. Create Political value - The government should believe that city’s ratings /grades are dependent on how much progress the city is making by implementing IT. The business preparation stage focuses on sponsorship and communication; deployment focuses on training and performance support; and finally the sustainability stage includes performance management initiatives. The focus of the CIO role is now much more about the purpose of leadership. Whether or not a CIO has come up through a technical track or not will not necessarily make that CIO become a successful business leader. Technical experience alone does not give anyone the ability to lead an IT organization. Many people within IT organizations sometimes feel threatened by a non-technologically trained CIO taking the reins of a company that was once a technology dominated. Think about it. A successful non-technical CIO has no choice but to build an organization of great technicians that will help the organization to develop technical solutions for business issues. The days of a CIO coming up through a technical track are quickly coming to an end. IT organizations “stuck in the silo” and not working within the business community are doing a disservice to the organization and more than likely hampering the growth of the business. Nowadays a CIO must be very conversant in marketing, finance and accounting–really most of the core business leadership functions in my opinion. It is myopic to think that a non-technical CIO cannot successfully run an IT organization just as it is myopic to think that a person that is technically competent cannot become a CEO, COO or CFO. This article has been authored by Aastha Agarwal from SP Jain Global School of Management.